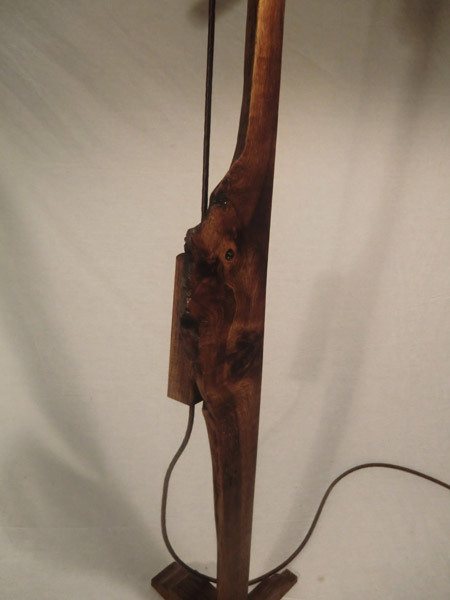 With the exception of this Solstice Lamp, we have never seen another live edge pulley lamp, anywhere. In our opinion, pulley floor lamps in general are under appreciated and underused. 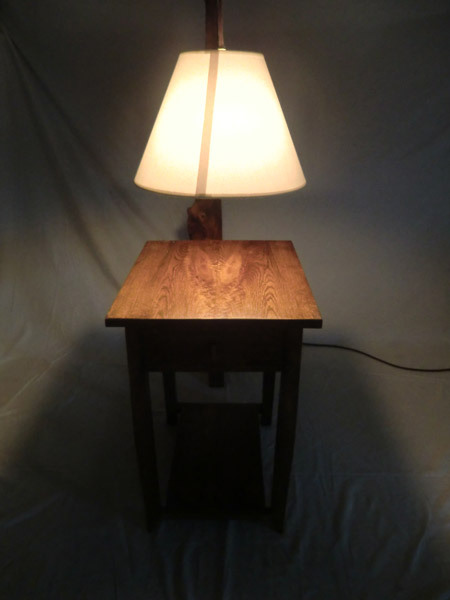 Practically, they beat table lamps because they free up space on a table top, and beat traditional floor lamps because their adjustability and downward focused soft light highlights the beauty of the wood on the table top and whatever is displayed on the table. This Solstice Lamp adjusts not just up and down by use of the pulley, but the reach of the top arm also adjusts to accommodate tables of differing sizes. 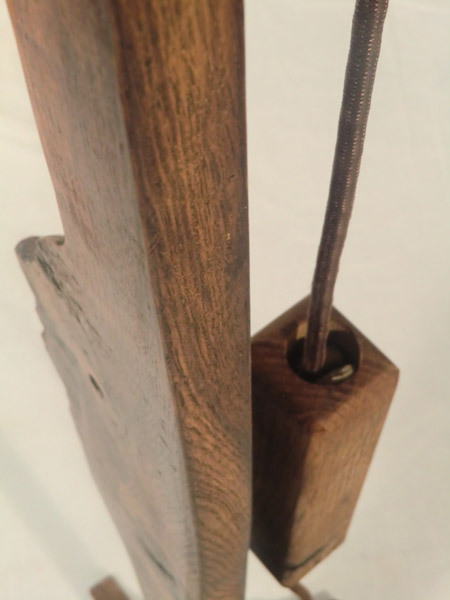 Aesthetically speaking, if the lamp base itself has beauty to it, and especially if that beauty is enhanced by light, a pulley lamp cannot be beat. 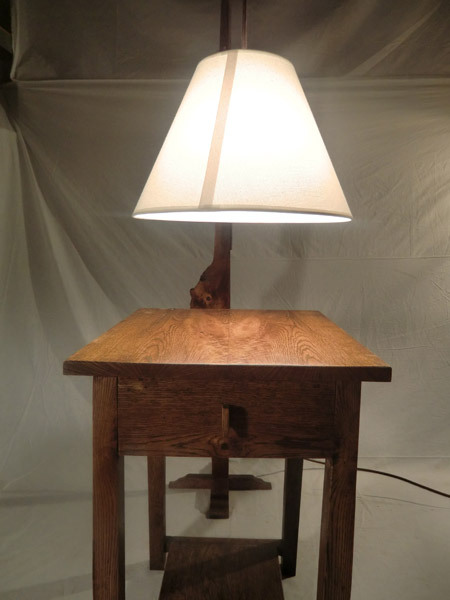 We think this Solstice Lamp, with it's centuries old live edge base, is a good example to which we speak.